It was recently brought to my attention that Marley is old enough to cook. Really cook., not just making peanut butter and jelly sandwiches. 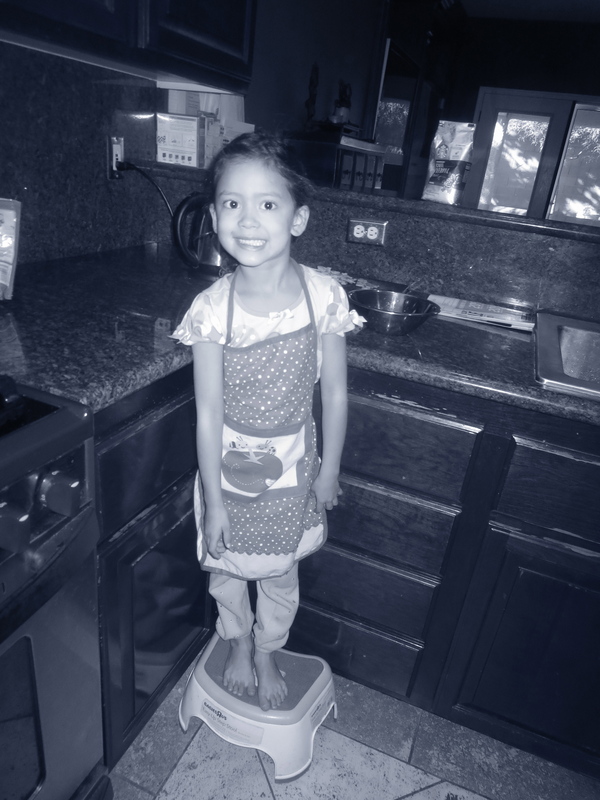 I remember helping in the kitchen from a very early age. 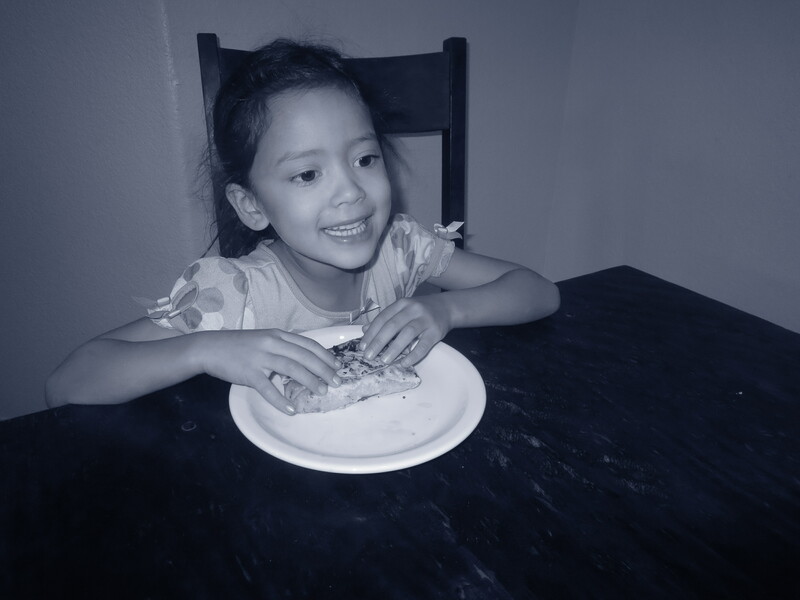 Now that we’ve hit that big milestone age of five, it is time to start nurturing her love for the creativity in the culinary arts. 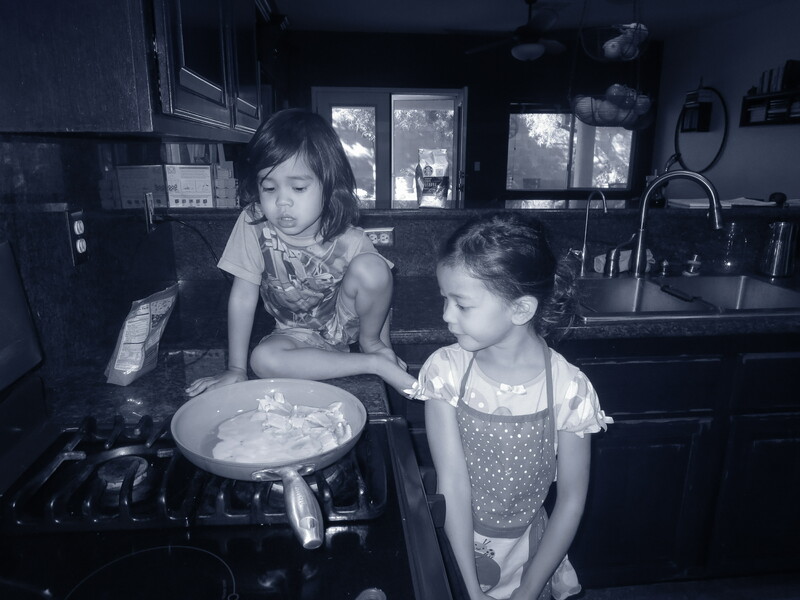 This morning, both kids helped with breakfast. After looking in the refrigerator and pantry to see what we could make, the three of us decided on ham, egg, and cheese breakfast burritos. 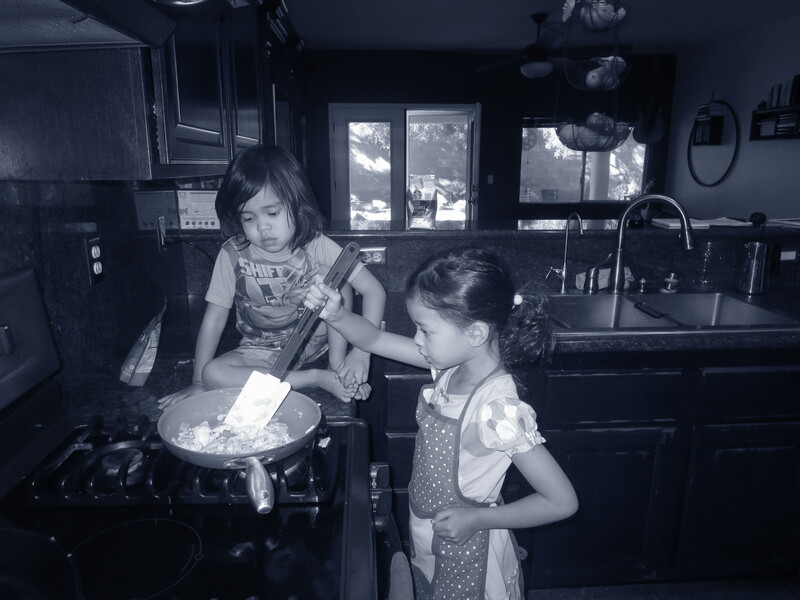 Both Marley and Jackson cut up the slices of ham, with mommy’s help of course, as we practiced hand over hand cutting. Marley wanted to use a butter knife and do it herself. I told her if she wanted to help cut, she needed to let mommy help her with a real knife. Jackson was a champ, and so proud that he was able to help. Next, Marley cracked both eggs by herself. 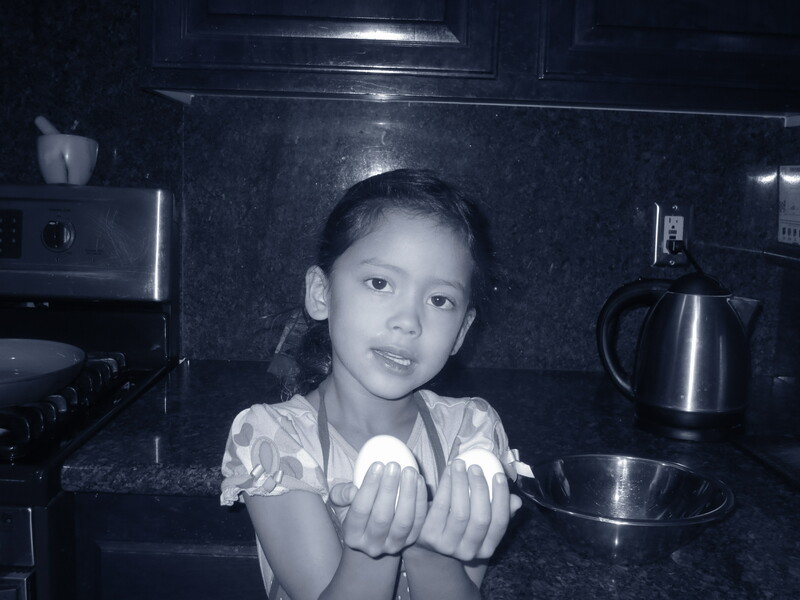 She’s a pro at egg cracking with all the pancakes and muffins we make around here. After whipping those eggs up real well together, it was time for the exciting part. Marley turned on the stove, helped grease the pan, and poured the eggs into the pan. 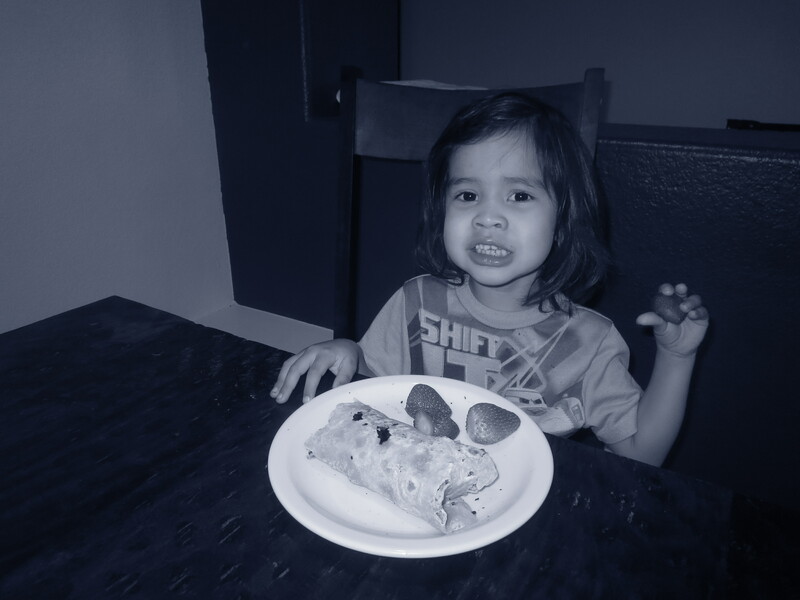 Mommy rolled the burritos, since that’s a task that’s a tad bith tricky for little fingers. 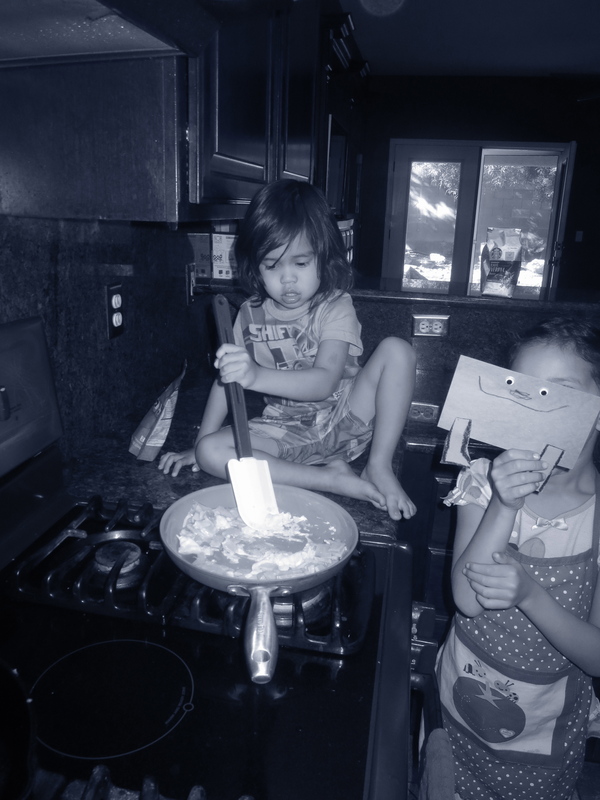 And since they helped with cooking breakfast, they were both excited about eating it. Posted on November 15, 2014 by MamaRupp	• This entry was posted in Uncategorized and tagged helpers, kitchen, mommy's little. Bookmark the permalink. That’s exactly how my brother, my sister, and I learned. Side by side with Mom. Well done.And may I add….YUM!